When user adds a fisheye camera to NUUO products, there are two types of lens setting given: IMV1-1/3 and Generic Dewarp. What is the difference? IMV1-1/3 is for "normal camera with an extra immervision lens", which is a way to make normal camera to become fisheye camera. Here is the Immervision website and a campatible camera list. Generic Dewarp is for fisheye camera, the lens are already built inside the camera. 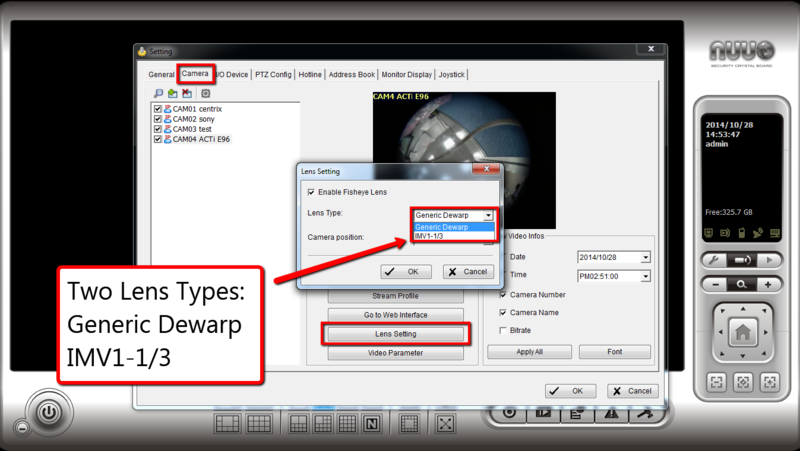 In camera support list of Mainconsole, you will see a note below the camera model: fisheye camera, which means this camera can use "Generic Dewarp". Why do we need Generic Dewarp for fisheye cameras? 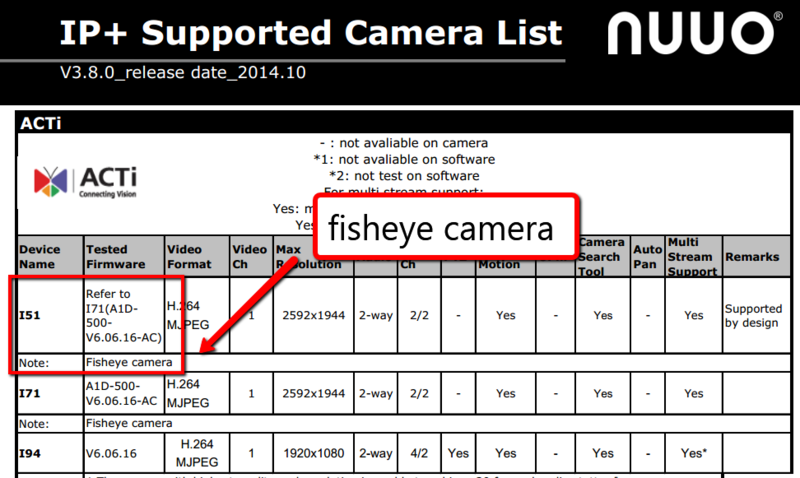 Please check the below images: As you can see the image on the left is the original image for fisheye cameras. This one is hard to identify, since the panoramic view is captured in a circular picture. The other images on the right show the results of dewarping. They are easily identified and have the advantages of the panoramic view.